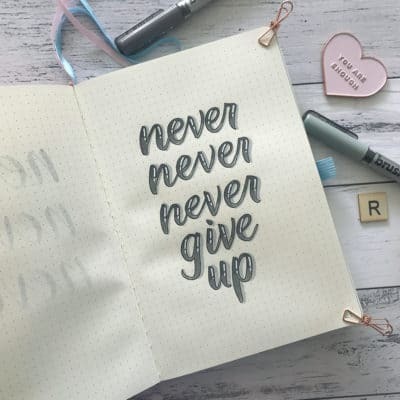 I am an avid bullet journaler, with a love for all things stationery, and am the creative mind behind littlemissrose.com. I am a mother of two young boys and a chartered accountant by day, but a stationery fiend by night. When I’m not being corporate and typing into a spreadsheet, you can usually find me letting out my inner creative and doodling or hand lettering in my bullet journal. Other than my stationery addiction, I also love the important 3C’s… Coffee, Cupcakes and Champagne.